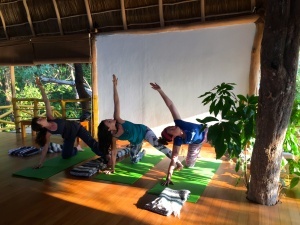 Jennie Lee Yoga Therapy | Breathing Love Retreat – Dolphins, Yoga, Meditation & More! 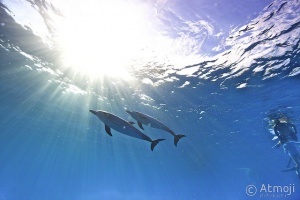 Swim with wild dolphins in the crystalline waters of Bimini, stretch into joy through daily yoga and consciously breathe love as you meditate. Celebrating the 2018 release of my new book, BREATHING LOVE: Meditation in Action, we are heading to the healing Caribbean waters for a week retreat with WildQuest. They jump, splash, twirl, flip and dive, reminding us how to play again. 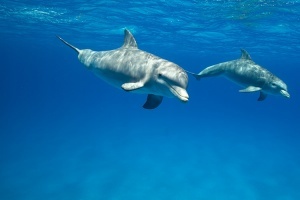 When we swim with the dolphins, we are immersed in their sonic vibrations, which have a therapeutic effect, positively affecting mood, physical wellbeing, and consciousness. Sound is the creative life force (Aum) and these altruistic beings help us to breathe new life into what we most need and desire, and most certainly more love. Learn conscious breathing techniques and practice them with these mystical creatures in the crystal Caribbean. Get in touch with your joyful inner spirit. Sunrise – Meditation overlooking the tranquil bay in front of the retreat center. Morning -Yoga flow in the ocean view studio. 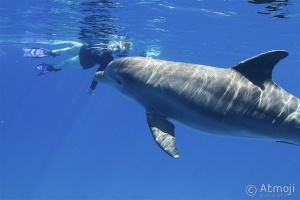 Varied forms of practice accessible to all levels of experience will include breathing techniques to relax and prepare you to meet the dolphins from a centered and peaceful place. Breakfast – Healthy buffet to start your day. Free Time – Enjoy the beach, a bike ride, kayaking, massage, hammock reading, you name it. 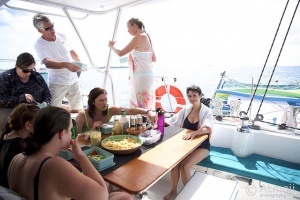 Lunch – Pack your own from a delicious selection of salads and sandwiches to take on the boat. Cast off – DolphinQuest catamaran heads out for dolphin encounters and playtime in the turquoise blue waters. 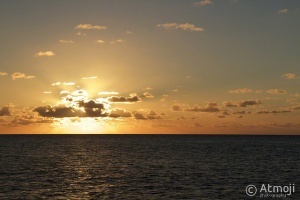 Sunse t – Head home, yoga on the boat, have another swim, or peaceful meditation. Dinner – Hot, delicious daily special at the retreat house. One night’s dinner will be out on the town. Evenings – Starlight beach stroll, yoga nidra, fireside chats, chanting, dancing, silence, a glass of wine, or a midnight swim, who knows! “I loved that you mixed philosophy in with our practices. I liked how you did different styles of yoga and meditation so I could try different things. 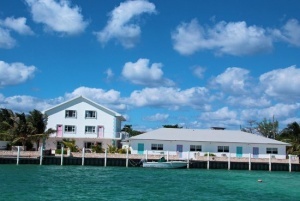 I seriously feel like this was one of the best experiences of my life.” ~ Jenny K.
“The right balance of activity and relaxation.”~Jenny H.
The closest Bahamian island to Florida (50 miles), Bimini is comprised of deserted white sand beaches, shimmering clear warm waters, welcoming islanders, colorful architecture, reggae and delicious restaurants. 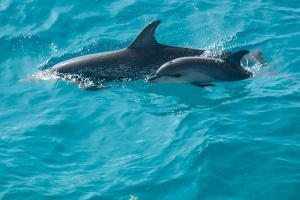 Meaning ‘Mother of Many Waters’ in Taino it is a paradise for diving and deep-sea fishing, as well as the very best place anywhere, to swim with wild dolphins! Some say Bimini is home to the ancient ‘Lost City of Atlantis’ and the ‘Fountain of Youth.’ More recently the island was infamous as a favorite location for rum runners during Prohibition. Healing Hole * –Hire a flat bottomed boat to see an underground network of freshwater tunnels, pumping cool, curative, mineral-laden springs of sulfur and lithium into a pool that all can enjoy. Atlantis Road –Underwater rock formations, all in a line, under 18ft of water off the west coast of North Bimini may be the remains from the lost continent of ‘Atlantis’ as predicted by one of the famous prophesies of Edgar Cayce, who claimed the lost city would rise again at this spot. Fountain of Youth * – Visit the shallow pools on the South Island by bike or taxi that islanders suggest could be the infamous Fountain of Youth referenced by the sixteenth century Spanish explorer Juan Ponce de León. 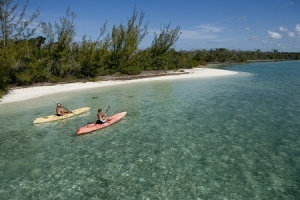 Kayaking, Biking, Nature Trails – Explore the beauty of this fun-loving island on your own. Snorkeling – Coral reefs, and shallow lagoons full of colorful and oddly shaped fish with domes of brain corals and acres of seafans. Diving * – Book a diving lesson or excursion to experience more of the diverse sea life in this Caribbean paradise. “Love is the essence of who we all are. It is as fundamental to our being as the breath. By living into our greatest love, we fulfill our life’s purpose.” ~J.L. Jennie Lee is the author of BREATHING LOVE: Meditation in Action (2018) and TRUE YOGA: Practicing with the Yoga Sutras for Happiness and Spiritual Fulfillment (2016). A Yoga Therapist for the past 20 years, she helps people discover how to lead peaceful, authentic lives, through the transformative practices of classical yoga and meditation. With love as her guide, she makes the ancient wisdom applicable to modern challenges and inspires people to realize their most loving Self. 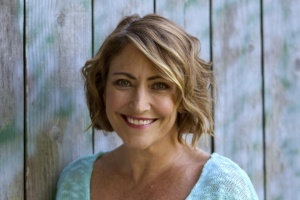 Jennie’s classes are an unexpected mix of challenging as well as therapeutic yoga postures, energy management techniques, and meditation, intuitively delivered at the right level for whoever is present. She draws from a deep personal practice as well as her studies in Spiritual Psychology, Body-Centered Psychotherapy, and classical Yoga and Meditation. Her writing is featured regularly on Huffington Post, Mind Body Green, Yoga Therapy Today and other yoga related blogs. She is Certified through the International Association of Yoga Therapists (C-IAYT), as well as Yoga Alliance (RYT 500). 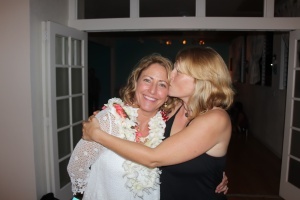 She coaches a wide diversity of clients, ages 6-94, on the island of O’ahu and by Skype internationally. All accommodations (Sunday night in Fort Lauderdale and five nights on the island based on double occupancy). 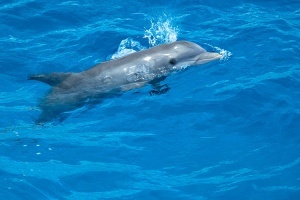 Boat trips -5 days out weather permitting to swim with the dolphins, snorkel and sightsee. Shuttle transfer from the FLA hotel to the airport on Monday morning. Airport transfers on the island upon arrival and departure when travelling with the group. Complimentary use of kayaks and bicycles. CEU hours for Yoga Alliance registered Yoga Teachers upon request. Travel costs to and from Fort Lauderdale, Florida. 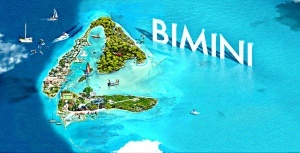 Travel costs to and from Bimini. Group charter is $390. Crew Gratuities. 10-15% of the retreat cost is recommended. One group dinner out on Bimini. Rental of snorkel equipment is $25/set or $10/fins only. Or you can bring your own. Bahamas Airport Tax is @ $32. 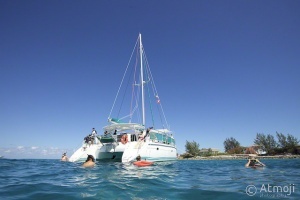 Note: Passport is required for travel to Bimini. Cancellation Policy: Final payment is due by January 5, 2018. No refunds are available after that as costs to the center are incurred to reserve. To be safe, it is recommended that you purchase travel insurance.